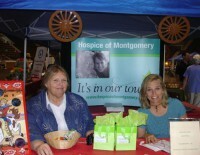 The concept of hospice is based on the utilization of volunteers. 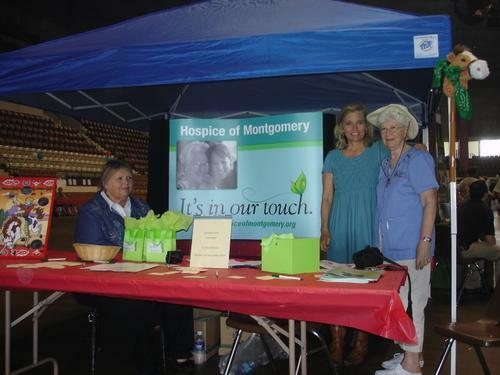 Hospice of Montgomery was formed by a dedicated group of volunteers and we continue to depend on volunteers as an integral part of the Hospice of Montgomery Team. 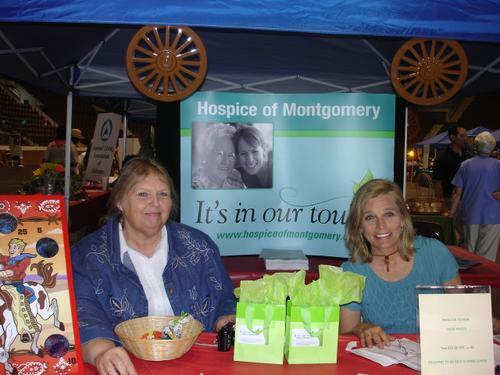 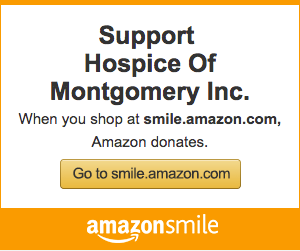 Hospice of Montgomery volunteer services are designed to play a vital role in enhancing the quality of care delivered to the patient and family by encouraging community participation in the overall hospice program. 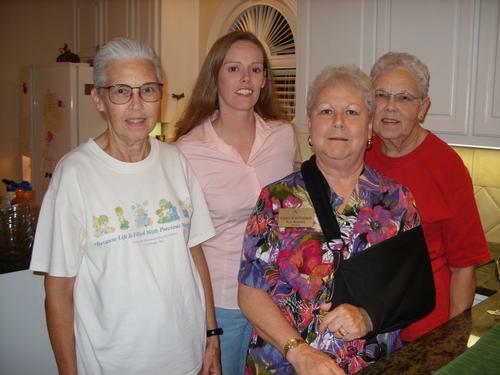 Trained volunteers provide assistance with program administration as well as friendship and support to patients and families. Volunteers are offered monthly get-to-gathers, dinners, field trips, and group projects throughout the year which provide an opportunity for our Volunteer Team to share their hospice experiences with each other! 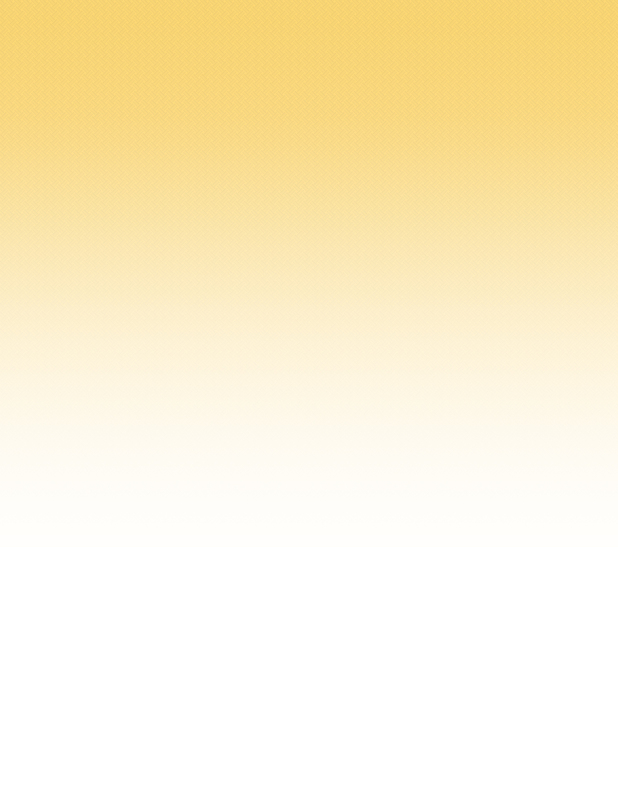 To the world you are but one person, but to one person you are THEIR World! 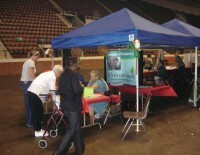 Experience is not required! Volunteer training programs are provided for those who are interested in becoming a Hospice Volunteer. 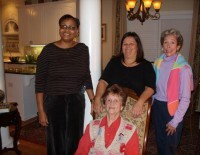 Simply apply here or call the Hospice office at 334-279-6677 for more information about volunteer opportunities and training. 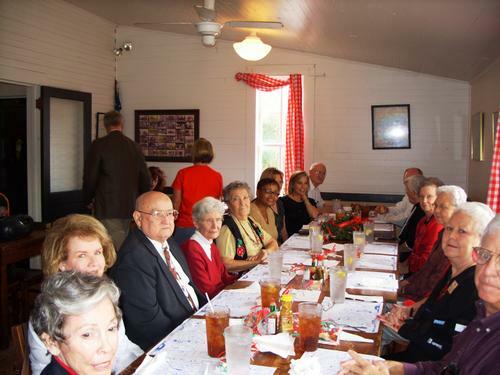 At November’s First Thursday meeting, hosted by Faye Brantley, volunteers threw a party welcoming home volunteer Sgt Amy Webster who had recently returned from active duty in Iraq. 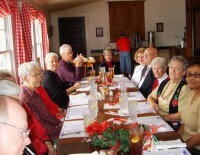 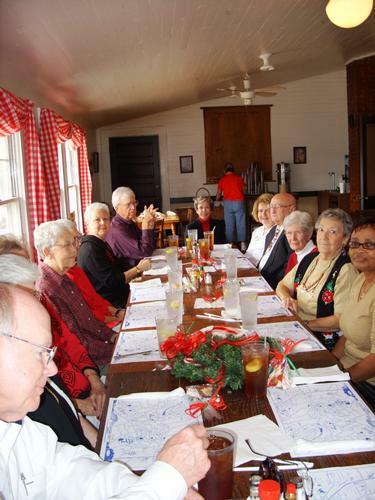 On December 18th, Volunteers and members of HOM’s Bereavement Group met at Red’s Little School house to enjoy a delicious lunch and each other’s company. 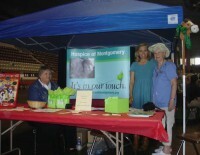 HOM’s Executive Director, Board President, Volunteer Coordinator and Bereavement Counselor joined the party. 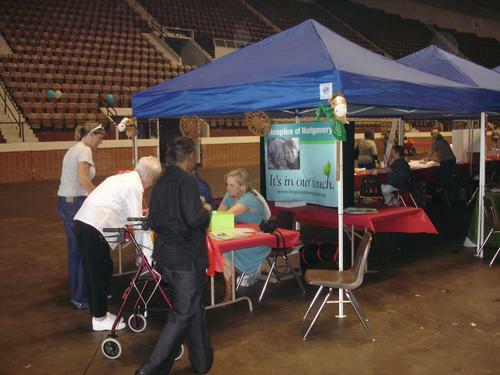 Hospice of Montgomery employees talk to the public about Hospice services at the Senior May Fest hosted by the Alabama Consortium on Aging.